Bluegrass Europe is a bi-monthly magazine provided free to members of the EBMA in Europe and abroad. 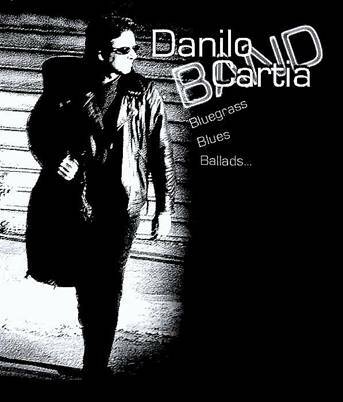 It is the first and only magazine dedicated to bluegrass music in Europe. 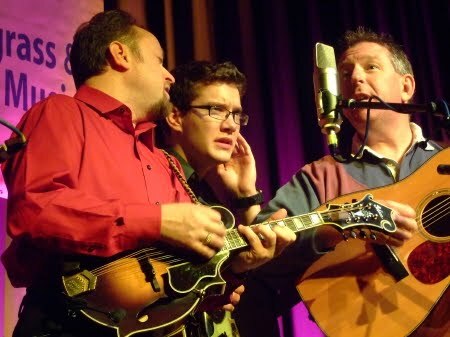 Written in English, Bluegrass Europe is printed and bound with the German Bluegrass Bühne and the Dutch Strictly Country. The three journals appear together under one cover and are all included in EBMA membership. For a free sample, contact Paolo Dettwiler or visit the EBMA website. 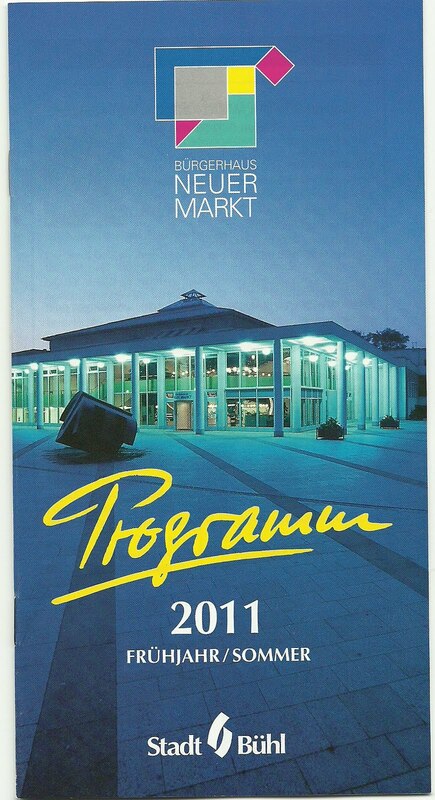 The EBMA's concert and festival calendar is in the centre section. Do look out for the brand new bluegrass festival being organised by Bath City Council - under the guidance of music historian/ radio presenter/ recording artist and city councillor Bryan Chalker - who says he is pleased to confirm that revered veteran British performer Brian Golbey has been added to the cast of 'Bath's Bluegrass Festival & Appalachian Celebrations' set for 19, 20, and 21 May 2011 and starring one of the USA's top bluegrass & Americana artistes - Valerie Smith & Liberty Pike [photo], featuring Becky Buller. ... I am also hoping to bring over Bill Clifton and Jimmy Gaudreau for 2012 and also venture into Cajun territory. It must be stated that I do intend to support the British acoustic music movement, as well as featuring American performers. A gospel element will also be included - and Bath's magnificent Abbey has shown interest in the bluegrass project! I'd like to take this opportunity to thank Dee Hallett and John Wirtz [BBMA chairman] for their support and help in this exciting project. 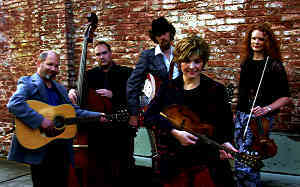 Update 28 Dec. 2010: Valerie Smith & Liberty Pike are the second bluegrass band to become available as an 'app' on smart phones - the first was the young North Carolina band Nu-Blu. For more details, including news of the International Bluegrass Music Museum, read here. We wish all friends and supporters of the GrevenGrass Festival, as well as those who are – privately or professionally – related to our Festival, and all others who are in the mailing list of GrevenGrass e.V., the best Season's greetings! 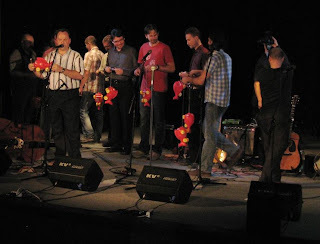 Many of you have already marked the days of the Pentecost weekend [11-12 June 2011] as the GrevenGrass Festival weekend in your new calendars for 2011. For many it is already a tradition, others have heard a lot about it and want to be a part of it next year. All friends of bluegrass music are welcome! We started the preliminary planning a while ago, and will get into the definite organisation before the end of 2010. 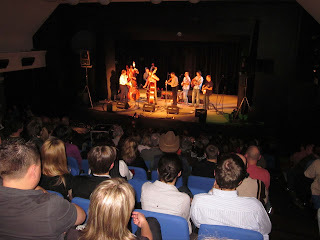 But we can already put the first highlights of the GrevenGrass Festival 2011 under your Christmas tree. Matthias Malcher is happy to announce that the line-up is almost complete. Matthias and our scout Rienk Janssen are still in negotioation with some top-class US bands. We will announce our headliner in January 2011. 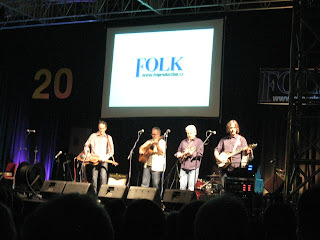 Around the same time we will feature all 2011 GrevenGrass artists on our website and provide you with extensive information. The Pentecost weekend will be rather late next year, so quite a long time will pass till we meet again, or finally have the chance to meet in person. We wish all of you peaceful Christmas days, a happy new year, and that the time until June will pass quickly. 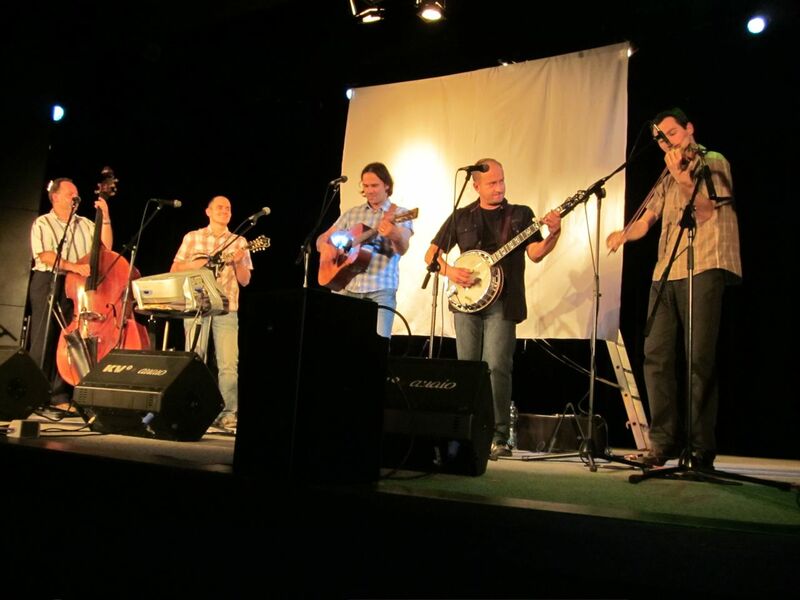 The GrevenGrass Festival is a nonprofit business and organizing a free concert. Thus we can’t finance by entrance fees, so we need support by sponsors. If you like to promote our festival by donation, you are welcome as partners. Sponsors can get a donation receipt. Espero que tots passeu unes Bones Festes i que el proper any es compleixin els vostres somnis. Bon Nadal i feliç any nou 2011!!!! Espero que todos paséis unas Buenas Fiestas y que el próximo año se cumplan vuestros sueños. Feliz Navidad y próspero año nuevo 2011!!!! 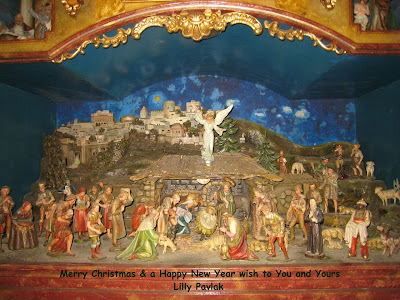 Merry Christmas and a happy new year 2011!!!! Joyeux Noël et bonne année 2011!!!! Buon Natale e felice anno nuovo 2011!!!! 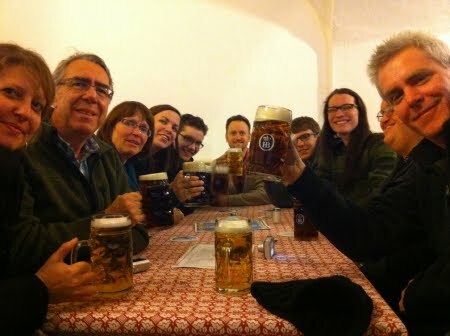 Frohe Weihnachten und ein gutes neues Jahr 2011!!!! 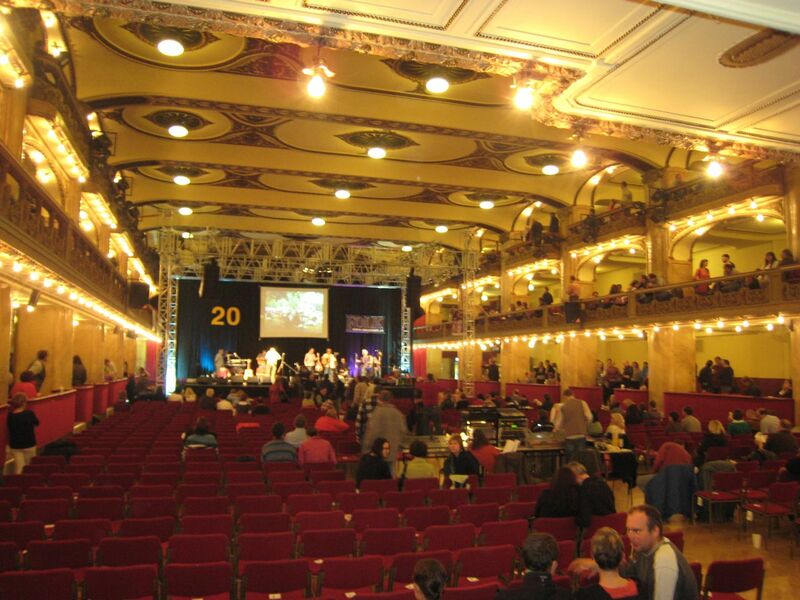 Lilly Pavlak reports on the second big event she recently attended in the Czech Republic: a concert in the picturesque old Lucerna Hall (above) in Prague, on 24 November. 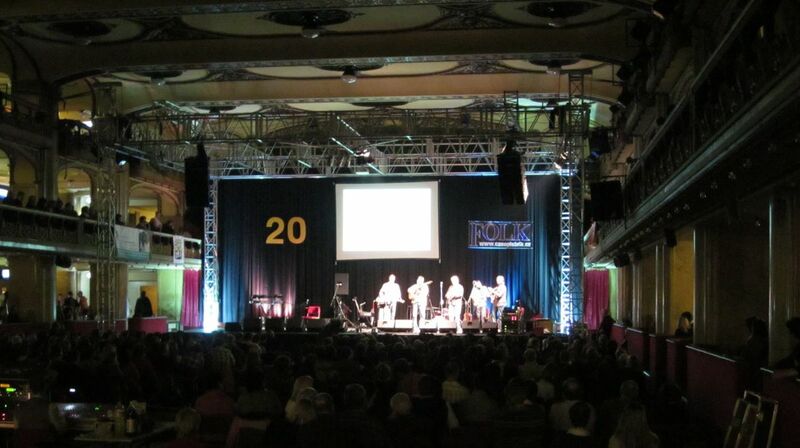 The concert marked the twentieth anniversary of the oldest Czech music magazine, originally named Folk & Country; from this year the name has been shortened to Folk. 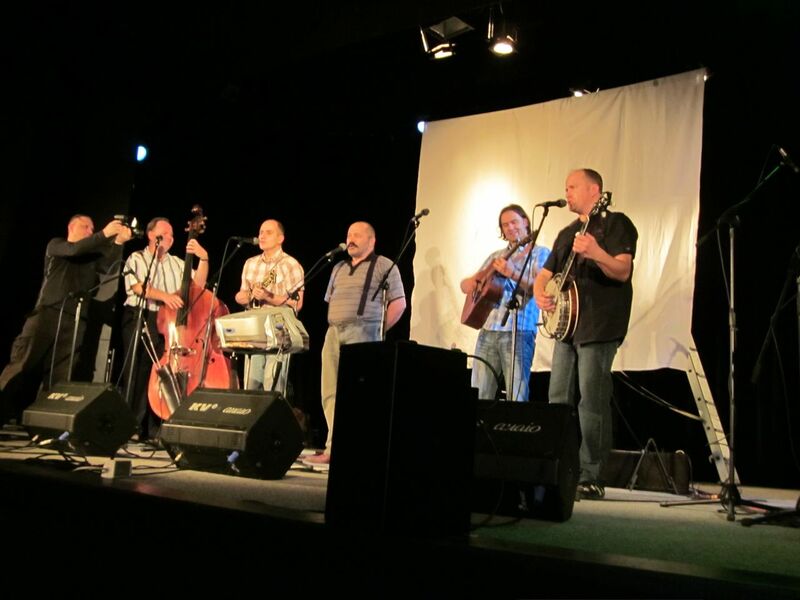 Bands taking part included Druha Trava (above), who were touring in the US in autumn 2010. The programme included eight other bands, folk, 'tramp music', traditional music, and more. Thanks again to Lilly Pavlak for a report and photos from the packed-out concert celebrating the 20th anniversary of the great Czech band Monogram, at the Gong Theatre in Prague on 23 November. The band - Pavel Lžičař (bass, spokesman), Zdeněk Jahoda (mandolin, vocals), Jakub Racek (guitar, lead vocals), and Jarda Jahoda (banjo) - marked their long service by opening the show in costume as old men (above). All the band are founder members except Pavel Lžičař (joined 2000), so they invited all their friends and also all the bass players from their first ten years. The first guest on stage was Zbynek Bures (above, centre), one of their former bass players and now the front man of Relief and also a banjo- and dobro-player and songwriter, whose songs were on the first Monogram CD, Monogram: Bluegrass music (1997). 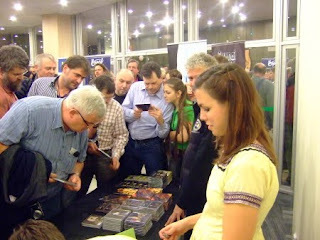 The next guests (above), Tomas Cerny (saxophone) and Lada Sosna (percussion), performed the song 'Malibu' as on the second CD, Siesta (2000). 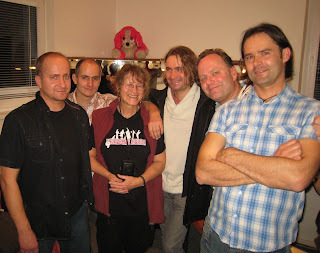 Everyone had fun with the 'Fast fingers' contest (above) for the former bass players, won by Pavel Peroutka (bassist from Relief), who also wrote a bass instrumental, 'Velbloudi: the tribute to Monogram bass players' which was played by four of them, who had their instruments with them (below). 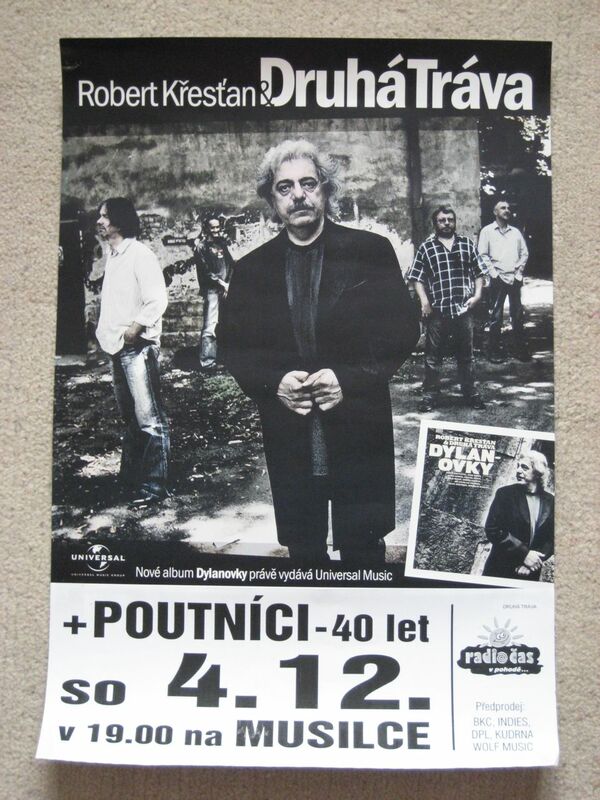 The band's only CD sung in the Czech language, Cestou Odyssea (2004), included a song by the famous songwriter Petr Kus, who sang it with them on stage (above). Pepa Malina (above, on fiddle) played the swing piece 'Lady be good', with Tomas Cerny on saxophone. 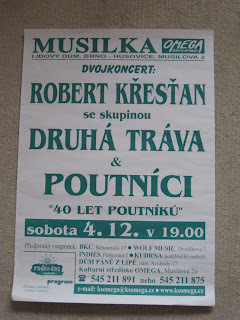 The second part of the concert included the showing of archive pictures and videos, an appearance by blues guitar player Jimmy Bozeman, and guest musicians from Rumania, who had been delayed in Hungary and brought a cymbalom on stage to perform a fast Rumanian folk-song, which was very well received. Monogram's lyrical song 'Nelly and John', from their last CD, Hit the road (2010), was intended to end the concert, but the encores eventually concluded with a Jimi Hendrix instrumental, 'Killing floor'. 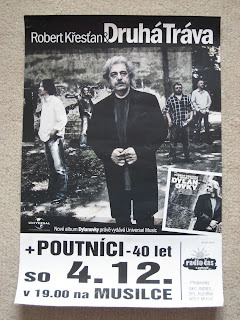 Finally Monogram invited everyone to the Doyle Lawson & Quicksilver concert in Prague on 16 May 2011, when they will be opening for DL&Q. Lilly went backstage after the show to try the band's birthday cake (above left) and be photographed with her 'adopted sons' (below). She hopes to be still alive for their 40th anniversary. Me and my family wish you all a Merry Christmas, and may your life in 2011 and the years to come go uphill. 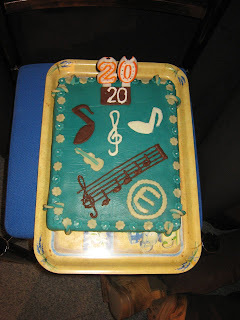 I want to thank everybody who helped me to make 2010 a successful year. I hope to see you all again, healthy and lucky. Rhonda Vincent & the Rage are true ambassadors for bluegrass music. Their introduction of bluegrass with their music is reaching the world with their #1 Billboard CD Taken on Upper Management Music. The international attention has resulted in a demand for the band overseas, resulting in a European tour for July 2011. France and Switzerland being confirmed stops, with additional performances in negotiation for Greece, Spain, Ireland, Sweden, Norway, along with as many additional countries as their schedule will allow. Rhonda Vincent & the Rage have received eight nominations for awards in the coming SPBGMA awards show and convention. They have already received the most awards (over 75 to date) of any band in bluegrass history. Thanks to Walter Fuchs (pictured above), musical director and MC of the International Bühl Bluegrass Festival, for this extract from the spring/summer 2011 programme of events in the Bürgerhaus Neuer Markt at Bühl, the main venue for the festival. 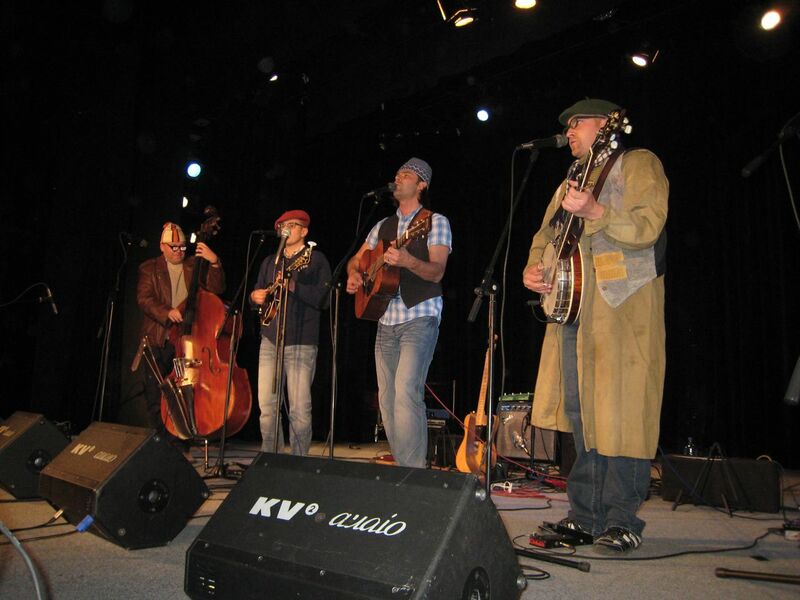 Building on the support of loyal friends and fans from the old glory days, a new audience for bluegrass music (and unplugged county music, too) is being tapped in Europe. This can only be effected by presenting the music in a dignified setting, in concert halls and theaters, just like jazz promoters have been doing it for many years. Today, the average summer yields over forty festivals nationwide with the largest, the Country Rendez-Vous in Craponne sur Arzon in Haute Loire, drawing over 30,000 people. 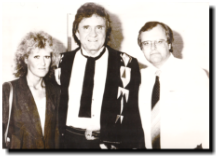 The sudden growth of country music in French radio, television, periodicals, festivals and concerts may lead us to ask what the music is saying that appeals to the French. 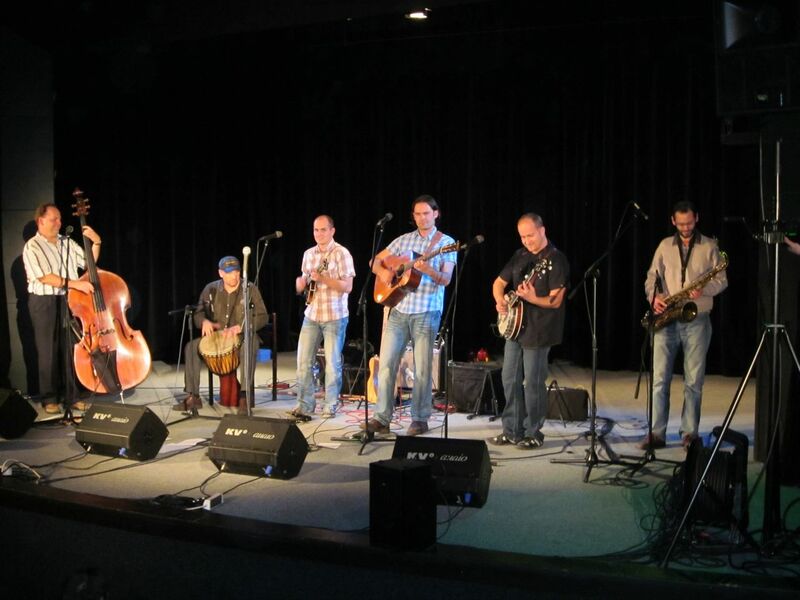 The Craponne festival always features a high-class bluegrass act (including the winning band from the band contest held at the La Roche festival). 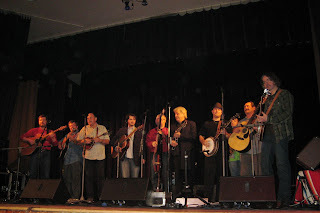 In 2011 the headline bluegrass act at Craponne will be Rhonda Vincent & the Rage. Full details of registration and accommodation for the International Country Music Conference in May 2011 can be seen here. The Swiss bluegrass scene has lost one of its important personalities. 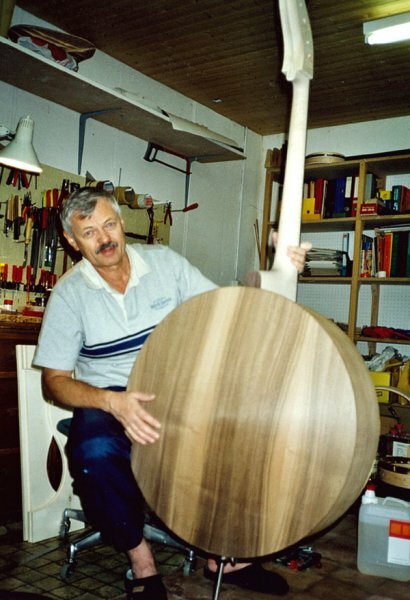 Robert 'Bob' Lauer [left] was the first, and for many years probably the only, five-string banjo maker in Switzerland. His first five-string he finished in 1973. Since then he had built about fifty of them and repaired many other instruments in his free time. Each instrument was a masterpiece. One of his first customers was Jens Kruger. I met Bob by surprise in the Alusuisee Company in Zurich in 1973, where we both worked. 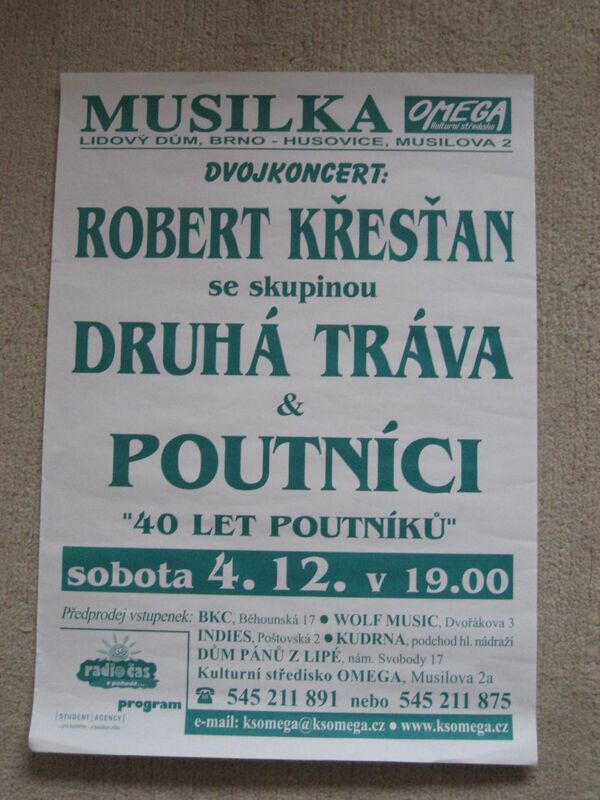 I could not believe he was from my hometown (Brno) and we probably met as children, because we went frequently to the same violin shop close to my house. He just started to play banjo, after seeing the Deliverance movie and also went kayaking on whitewaters with his friends. So he soon was taking me with them over the weekends. 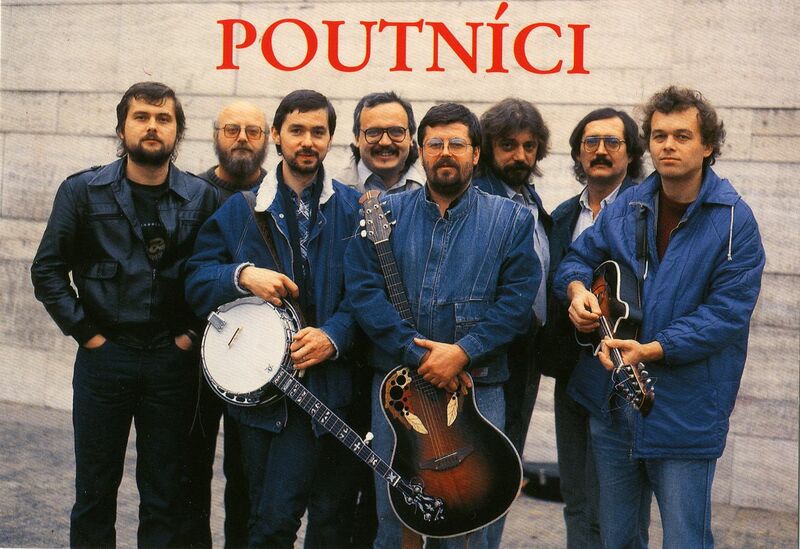 I used to play the Czech 'tramp' songs on my guitar, and soon we started to play together. The first song I learned from him was the 'Foggy Mountain breakdown'. It was the beginning of a wonderful years-long friendship. We used to talk for hours about our biggest love – the bluegrass music and listening to its performers. He went frequently to the Folk Club Zurich with his friend Vasek, so they took me with them. 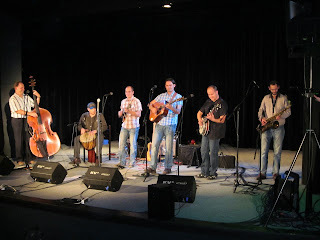 I met there the Country Ramblers with a Czech guitar player, Tom Matejovsky, and slowly the entire Swiss bluegrass scene and some American musicians, such as Bill Keith and Jim Rooney. In 1974 we started to take some music lessons from Finn Bodenmann and met the Swiss Bluegrass Family. 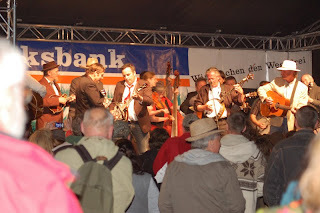 Visited festivals like Lenzburg, Gurten, concerts in the Mahogany Hall Bern, Folk Club Baden, and so on… Of course, we played music every weekend at the Saturday campfires. Bob brought me to the airport when I went on my first US trip in 1975. Through him I met my ex-husband, who was also starting to play banjo and was in the whitewater and cross-country skiing group. Bobby got married and moved to Fahrweid Weiningen, and my boyfriend and me followed them soon; we lived just about 500 meters apart. 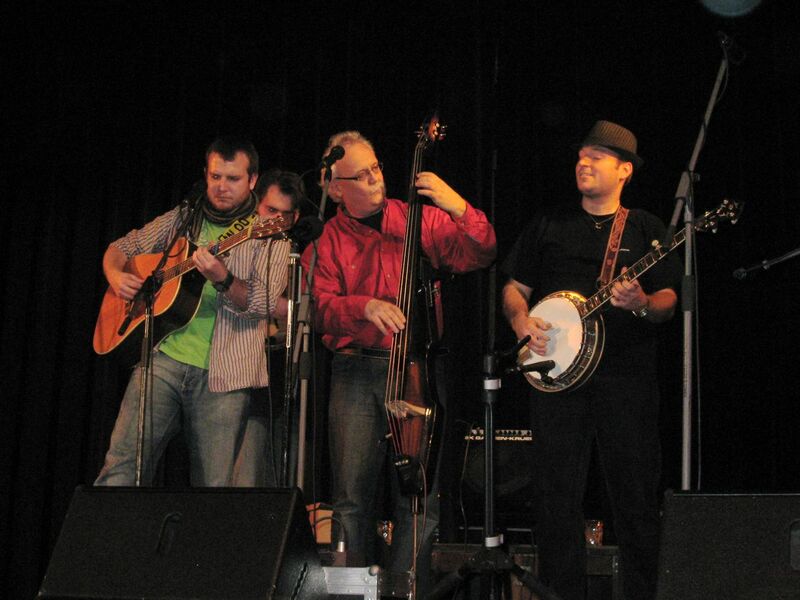 Bob started his band the Bluegrass Friends and later joined the Country Ramblers, when Urs von Arx went to the US. I got married as well and of course Bob became the witness of the marriage ceremony, later also the godfather of my first-born son. His two children Hanna and Roman were just a year ahead of ours. Our family moved to Bülach, when I was expecting my second son in 1985; and since then we met mostly at the weekends, cross-country skiing in winter or whitewater in summer, and of course bluegrass concerts and festivals. With the time, our contact was no more as intensive as in the past. Bob retired in 2007 and was happy to have time to concentrate on his beloved banjos [right: one of his special projects - a bass banjo in construction]. When I met him for the last time I promised to visit him, make some pictures of his banjo workshop, and write something about him. Before I left to the Czech Republic for the last time I learned that he was at the hospital, and hoped to visit him as soon as I’d be back here. Unfortunately I was too late. I returned home Sunday, just two days after his funeral. The editorial team members of the EBMA magazine Bluegrass Europe wish to express their regret that the dispatch of issue #77 to EBMA members has been delayed, both by technical difficulties in the production of the magazine and by disruption in postal services. The good news: this issue is now on its way to everyone on the mailing list. We herewith have the pleasure to inform you that we have updated our website. We are proud of the result and invite you to take a look at the various pages. 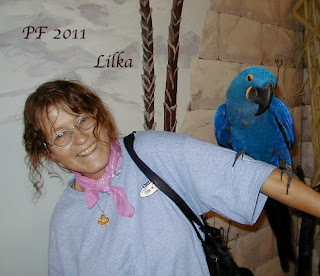 Go to www.cms-country.nl and enjoy yourself. Our gallery is far from complete so we'll add new pictures in the months to come. The English (google translation) in this gallery will be corrected into perfect English in the next few days! We'll be doing many European gigs with Billy Yates in 2011 along with his band Savannah. New are the Parking Lot Pickers. 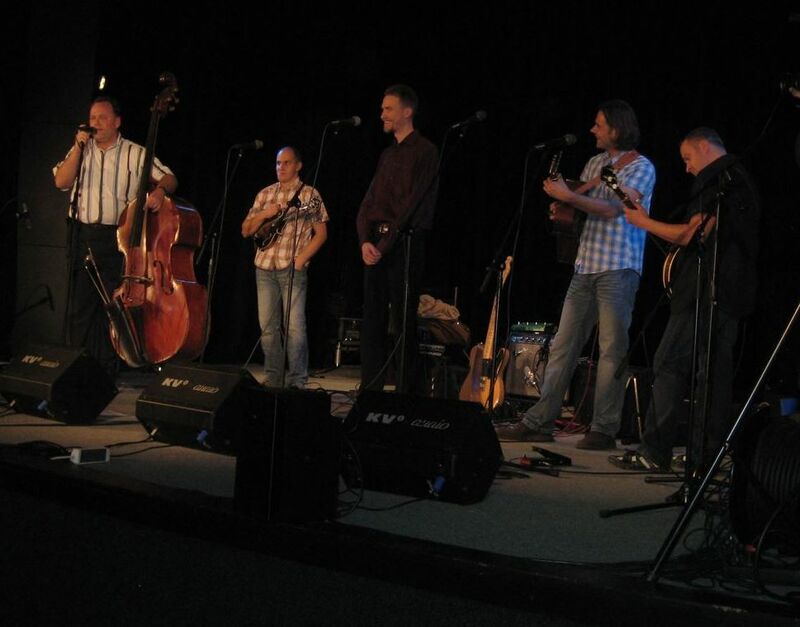 A truly fine band playing pure and honest country music with a happy touch. Great guys and great music. Very affordable too! 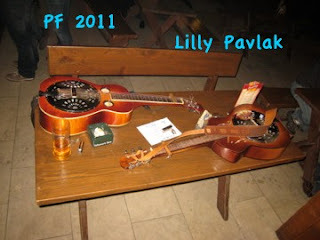 Billy Yates is currently recording a new CD to be out in 2011. Even more country than he's ever been before. He is also using upright bass now. And lots of steel guitar as well. Don't forget to click on the homepage 'star'. It contains a special Christmas card for you all. It's gorgeous and made with unlimited love for our hometown, being Nieuwkoop in the Netherlands. Needless to say we hope to continue our relationship with you. For now we wish you a Merry Christmas and a fantastic 2011 in private and in business. 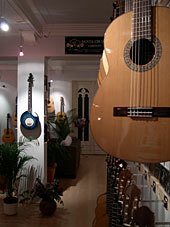 Oliver Waitze sends the December newsletter of the New Acoustic Gallery (NAG) in Solingen, Germany. The many interesting possibilities for Christmas presents in the NAG's online shop include the brand-new Krüger Brothers CD, Christmas magic (€18.90), as well as instruments (new and used), books, CDs, and DVDs. 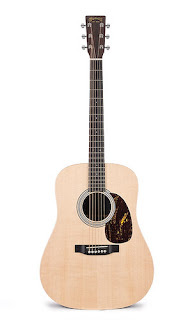 The many new products include a Michael Betcher A 5 mandolin (€2,990.00), a Deep Ocean Guitars F4 three-point mandolin (€999.00), a Scott Cao 'Kreisler' model fiddle (€1,790.00), a Cigano GJ-5 student 'gypsy jazz' guitar with wide D-shaped soundhole (€449.00), and much more. Read and/or download the complete NAG December 2010 newsletter in PDF format. ... can be posted to any member of the team of contributors listed on the right of the EBB during the period 9-15 December 2010, except Richard Hawkins, who will be unavailable during that period. Any news that you would normally send to Richard can be sent to the blog e-mail address shown at the top of the EBB. Please make sure that everything you wish to send is included in the text of the e-mail, together with your e-mail address, as attachments and addresses do not come through this link. Next Friday (10 December) sees the opening show of a new series of live music gigs at Shannon Airport. Hopefully, this will mark the beginning of a new live music era at the airport. Most of the US-based musicians and bands that we admire, and that have visited these shores over the years, have come through this very facility; and next Friday the NTB will perform in the Arrivals/ Departures area, just after the last flight departs at 9.30 p.m. Admission is free, but it's recommended that attendees should apply for tickets in advance. These are available at the airport front desk, but no-one will be turned away on the night! That's the title of a page on Rainer Zellner's Bluegrass Jamboree! website - headed by the illustration on the left, and giving an overview, in German, of the origins and character of the music. The Jamboree itself, which opened the current tour on 3 December, is scheduled for performance tonight at Dreieich, followed by eleven more dates in Germany, Switzerland, and the Czech Republic. It is also featured here on the original Bluegrass Blog. The directors of the Foundation for Bluegrass Music send a reminder that the deadline for applications for general grants from the Foundation is Wednesday 15 December. 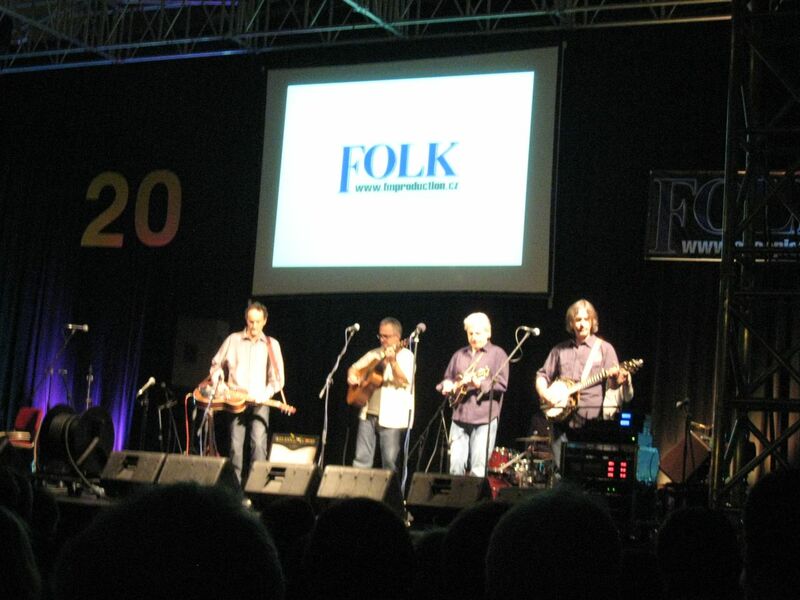 The Foundation for Bluegrass Music is a non-profit organisation under the auspices of the IBMA. Its directors have established a one-time general grant request application deadline of 15 December 2010 for projects planned for the calendar year of 2011 or 2012. Grant awards will be announced by 15 March 2011. The Foundation’s general grant budget for 2011 is $10,000, with the goal of funding four projects at an average of $2,500 each. 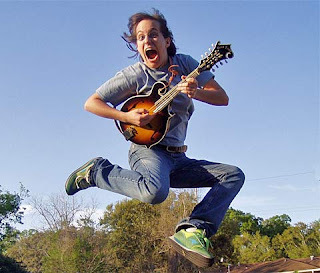 In addition, a one-time exceptional grant request application deadline of 15 December 2010 has been announced for projects that will celebrate the Bill Monroe Centennial and focus on educational efforts that involve young people, during the 2011 calendar year. Grant awards will be announced by 15 March 2011. The Foundation board has set aside an exceptional grant award budget for 2011 of up to $10,000, with the goal of funding one project. The Foundation's full statement can be seen here. More information and downloadable grant application materials are here. Thanks to Sophia Johnson of the Toy Hearts (UK) for this link to the band's first ever music video to accompany their download single release. 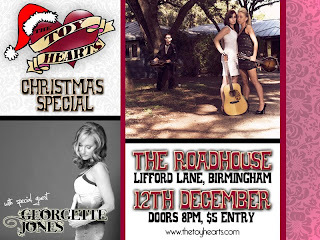 The single is a radio edit of 'Femme fatale', the title track of the latest Toy Hearts album. It was released on 22 November and is available on iTunes. The full album is also available to buy through the band website - including limited edition box sets! 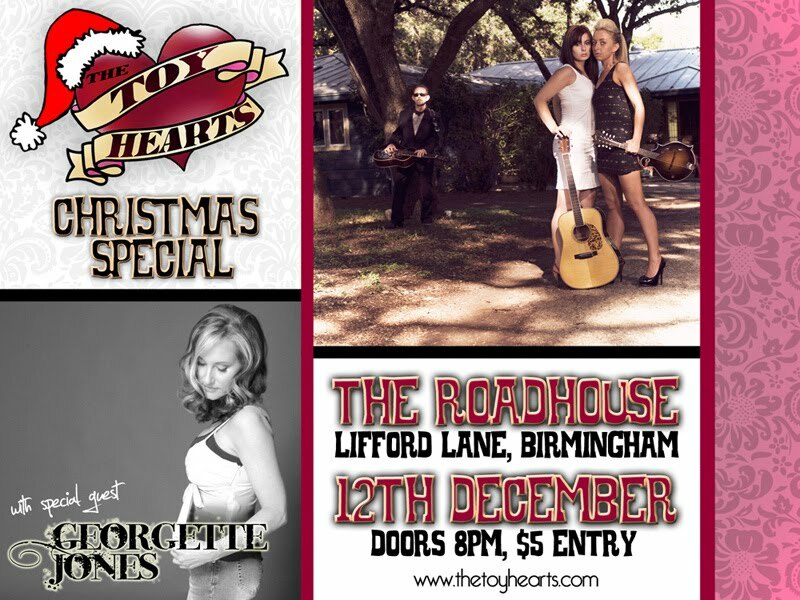 The Toy Hearts also have a Christmas special gig coming up, featuring Georgette Jones (daughter of Tammy Wynette and George Jones). Full details are on the above image - click for an enlarged view. Singer, songwriter, bandleader, broadcaster, and Irish bluegrass pioneer Niall Toner reports that the new series of his 'Roots Freeway' radio show, broadcast on the Irish national radio station, will run till the end of February 2011 - and a Martin acoustic guitar [left] will be given away as a prize in a competition, thanks to sponsorship by Perfect Pitch Music, Exchequer St., Dublin, and the Martin Guitar Company. 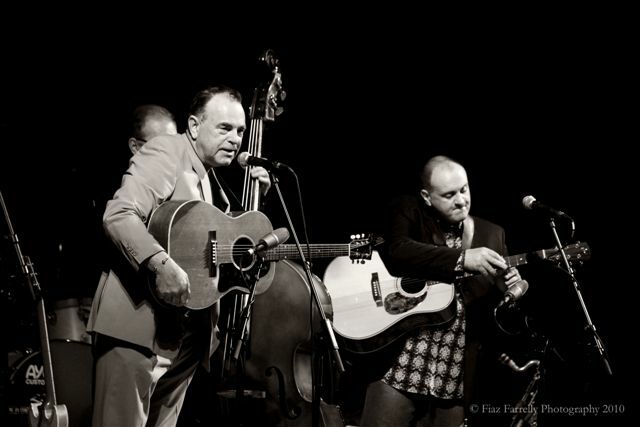 'Roots Freeway' always includes some bluegrass, as well as information about live gigs by touring and domestic acts... I should also add that the Irish content of the show is being actively increased, hopefully to around 45% of the total playlist, and this of course includes singer-songwriters, string bands, blues players, etc, etc. Niall also announces further additions and improvements to the Niall Toner Band website, including a blog and a facility for buying single tracks from NTB records on iTunes. The band will release a new album in 2011 to coincide with the centenary of Bill Monroe. Dueling banjos, move aside. Your time is over. You’ve been replaced by – diplomatic banjos! 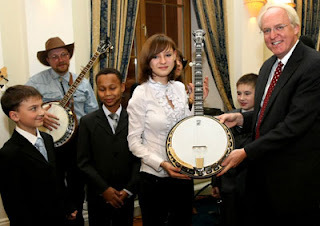 Deering Banjos recently chose Liza Karpacheva, a 15-year-old Russian orphan from Obninsk, Russia (sister city of Oak Ridge, Tennessee), to receive the Brian Friesen Award banjo. US ambassador to Russia John Beyrle presented Deering’s new Eagle II banjo to Liza at a special November 16, 2010 bluegrass event at Spaso House, the ambassador’s historic residence in Moscow[see above photo]. These are the opening paragraphs of 'Building bridges with… banjos?' an article by Mr Dan Sreebny, a senior media advisor in the US State Department, which will appear in the Feb.-Mar. 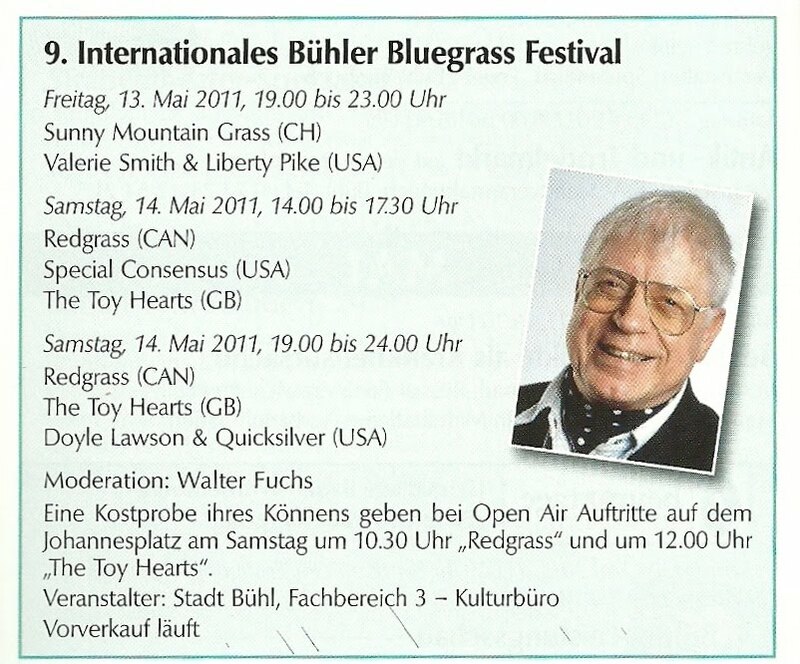 2011 issue of Bluegrass Europe. 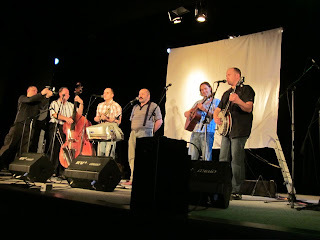 The presentation was one of the results of the visit of Pete and Joan Wernick to Russia this summer for the first ever Russian-American Bluegrass Jamboree (featured on the EBB on 24 August). Lisa Karpacheva is banjo-player for the young Russian band Cheerful Diligence. More can be seen on the websites of Dr Banjo and the US consulate in St Petersburg, where you can watch performance videos including Cheerful Diligence playing 'That don’t bother me' ('Блэкбери блоссом'). 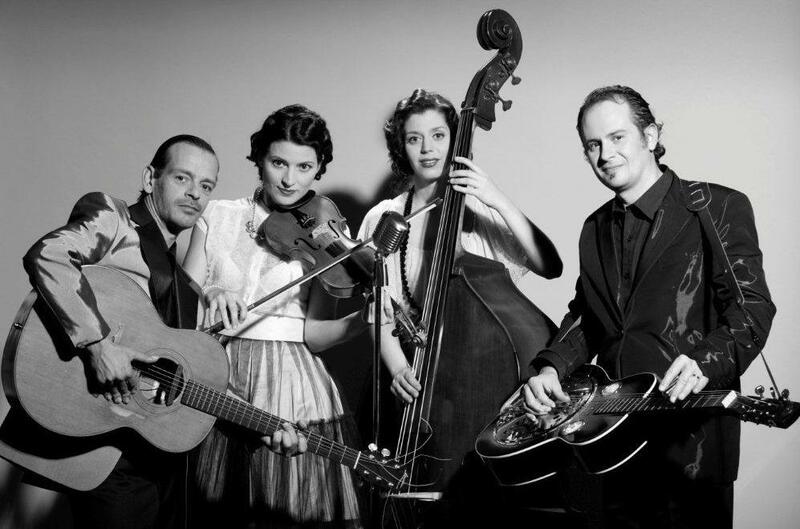 To keep the spirit of the U.S.-Russia Bilateral Presidential Commission’s first Russian Bluegrass Festival alive and well, the staff of the U.S. Consulate General Leningrad have decided to adopt Cheerful Diligence, Russia’s newest country-bluegrass band. The 'adoption' starts with special classes for the young Obninsk sextet in 'American English for Russian Bluegrass Musicians'. Can similar classes in Russian for American bluegrass pickers be far behind? Read the whole text in Bluegrass Europe #78 - which will be the last issue edited by Paolo Dettwiler. ATTENTION: For the first time ever (in Germany, maybe even in Europe) there will be a worldwide live radio broadcast of the full first show of the tour. So all of you who can't be at this show can catch the music on radio Wueste Welle in Tübingen via Internet radio. 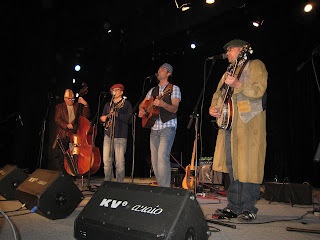 Thanks to Brian McNeal of Prescription Bluegrass Radio in Kingman, AZ, for the news that the show also runs the Prescription Bluegrass blog, and has added a link to the European Bluegrass Blog, among other bluegrass blogs of note. 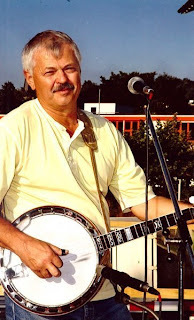 Another source of bluegrass news on the internet is Bluegrass Matters, which presents headlines and short tasters of news items already published in other internet sources (including the European Bluegrass Blog) with links to the full original texts, without adding editorial content. Once again, after the success and positive feedback from the two previous years' European Bluegrass Summit in Bühl, Germany, the European Bluegrass Music Association is happy to confirm that arrangements to hold the 3rd European Bluegrass Summit on the weekend of 18-20 February 2011 have been finalised. This event is fully supported by IBMA as a major and effective tool to bring the scene together more closely and to find ways to fulfil the goals set at the previous meetings. The convention will be attended by an official representative of IBMA, Dwight Worden, who has been elected by his peers for a second term as the Associations representative on the IBMA Board of Directors last summer. 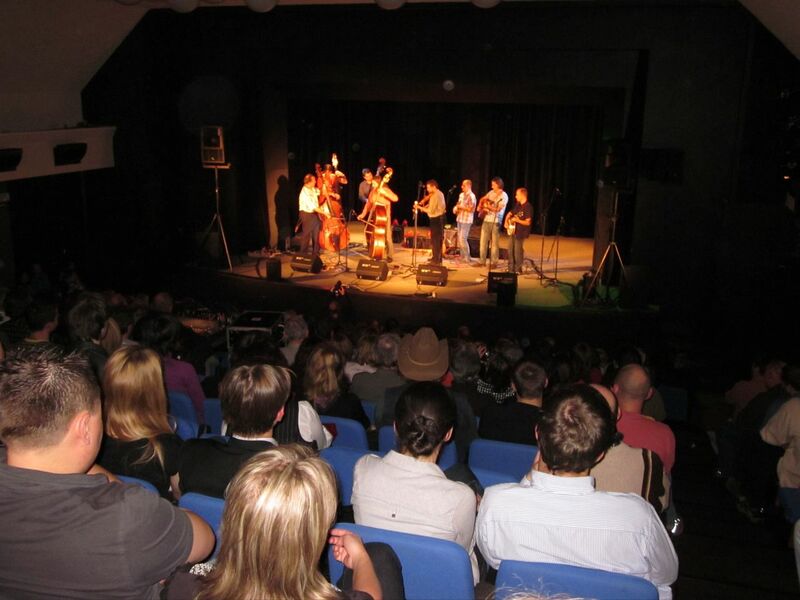 The 3rd European Bluegrass Summit will be generously hosted again by the city of Bühl offering the entire meeting facilities and infrastructure for free. This year, the Saturday night concert will be bigger, with three bands playing to celebrate EBMA's 10th anniversary. As in previous years, attendees are invited from all quarters in Europe; the costs and arrangements for travel, subsistence and accommodation are the entire responsibility of the participants. The summit will be limited to 50 delegates and early booking is advised. - Circulating this proposal to others who you know to be interested and involved in European Bluegrass. - Completing the online registration form on the EBMA website or replying to this e-mail, indicating your name, your willingness to attend, and who you represent (i.e. association, band, business, or individual etc.). Please send your responses before 14 December 2010 to admin@ebma.org. If you or your company/organisation are able to sponsor part of this convention, we would be very grateful if you'd contact us. Any financial support is welcome. There are many opportunities for you to advertise before, during, and after the event in return! More details of the Summit can be seen on the EBMA website here. 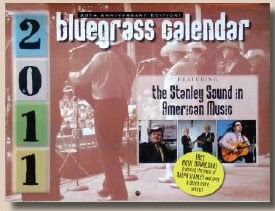 Just a quick note to let you know that the 20th anniversary edition of the Bluegrass Calendar is now available. Additional information can be found here. Nechville Musical Products (USA) announce that their new Deluxe Magnetic Pick/ accessory case (shown left) is now available in a variety of exotic woods, at an introductory price of $34.95. You can see this and other pictures of the cases on Tom Nechville's Picasa web album. Phone the company at +1-952-888-9710.